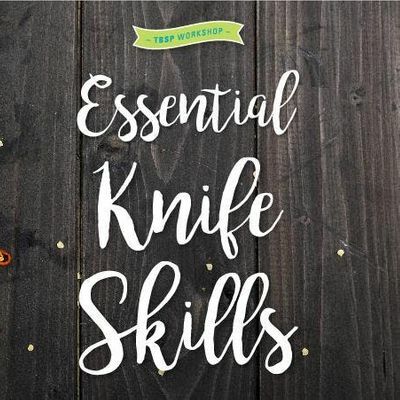 Essential Knife Skills with Tablespoon Cooking Co.
Ready to improve your knife skills and be a better, safer and more efficient cook at home? 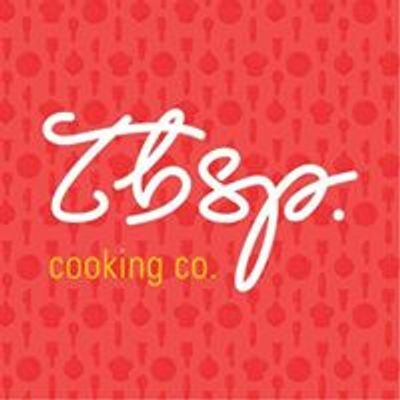 Join Tablespoon Cooking Co. for this hands-on workshop where you’ll learn key techniques to make cooking at home much simpler and more enjoyable. If you’re ready to step up your game in the kitchen — Essential Knife Skills is the place to start! In this hands-on class, you will learn the proper technique to hold a knife and the basics of kitchen safety and sanitation. We will go over how to choose a good knife, different cutting techniques and when to use each skill. All the knives, equipment and ingredients for class will be provided. Yes! We’ll serve a light dinner at the beginning of class. Your ticket also includes complimentary beer and wine. We offer a seasonally rotating selection of wines from small producers as well as local craft beer. And, of course, we encourage you to eat anything you chop in class! I’m scared of using sharp knives. Will this class be safe? We want all of our students to be safe and have fun. We’ll teach you how to set up your workspace and to safely handle knives. We have plenty of experienced culinary staff ready to help students throughout class. You’re in good hands! What if I already know how to use knives? Tablespoon’s instructors and staff are all seasoned food industry professionals. We’ll share some culinary school tricks and restaurant secrets that will elevate your home cooking to the next level. Whether you’re an experienced cook or a beginner, we promise you’ll leave having learned something new! Do I get to bring anything home? Yes! Throughout class, you’ll be chopping up various ingredients. We’ll provide a recipe so that you can bring home what you prepared and make something delicous out of it at home. We recommend bringing sturdy food-safe containers with tight-fitting lids to tote home your ingredients. YES! Of course! This is our most popular class and seating is limited – so sign up while you can! We hope to see you soon! Questions? Please visit the FAQ page on our website first for answers to frequently asked questions. Still can’t find what you’re looking for? Send us an e-mail at aGVsbG8gfCB0YWJsZXNwb29uY29va2luZ2NvICEgY29t.